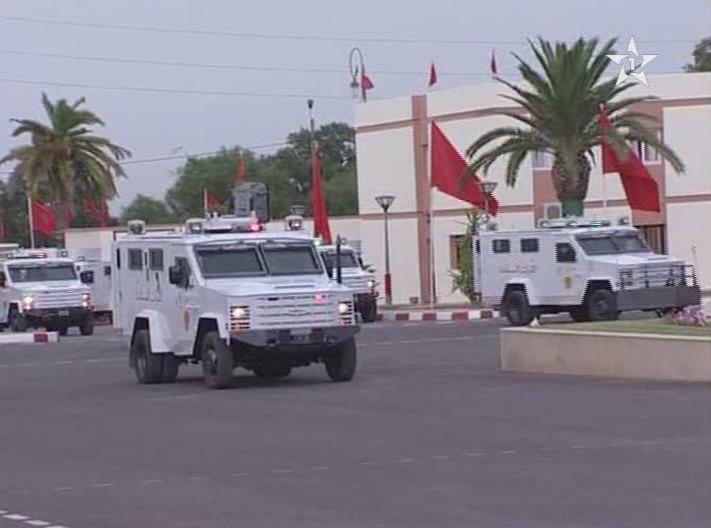 Lenco Industries, the global leader in the design and manufacture of armoured police vehicles, recently completed delivery of 88 BearCat® armoured vehicles to the Moroccan Auxiliary Forces. The BearCat® is part of Lenco’s line of light and medium armoured response vehicles, which are used by hundreds of specialised tactical teams in the United States and abroad. With military grade armour materials, an open floor plan and a powerful 4×4 system, the BearCat® can easily accommodate ten to 12 operators across rugged terrain. The BearCat can also reach speeds up to 90mph (145Kph) for rapid response in critical incidents. Due to its ease of use, low maintenance costs, and innovative designs, the BearCat® is becoming an increasingly popular alternative to up-armoured military vehicles around the globe. The Moroccan Auxiliary Forces order included five different BearCat® variants, designed to address a variety of mission profiles. The BearCat® Riot Control model, which is specifically designed for international police forces, was among the variants. This BearCat® model is equipped with a heavy-duty hydraulic plow capable of moving cars, debris, and other barriers. The BearCat Riot Control variant also has protective screens on all windows and lights, fire suppression capabilities and several non-lethal options for hostile riot conditions. The remaining BearCat variants delivered to Morocco included troop transport, communications, convoy protection and SWAT. The Lenco BearCat APC is built on a commercially available chassis, which allows for warranty-covered repairs with maintenance and parts replacement through OEM dealers and truck centers. This greatly reduces lifecycle maintenance costs and training expenses when compared with specialised military vehicles. The armored trucks for the order were manufactured at Lenco’s primary facility in Pittsfield, MA.